Help! My dog acts like a lunatic around other dogs! When they get a dog, many owners dream of taking them to the park and watching them play happily with other dogs. It can be embarrassing and come as quite a shock when their normally gentle and affectionate dog turns into a barking, lunging, snapping lunatic at the mere sight of another dog. Late night walks and lots of stress! Many owners endure anything from disapproving looks from other owners to downright verbal abuse. They end up walking their dogs early in the morning and late at night, and actively avoid meeting other dogs. What should have been an enjoyable and relaxing activity to share with their four-legged family member turns into a daily stressful event. Why is my dog acting like this? There are many reasons why a dog’s behaviour may become problematic around other dogs, and it is a very misunderstood area. Owners struggle with conflicting advice and find it difficult to know what to do for the best. Dogs can end up either living in a dog-free vacuum or being constantly subjected to uncomfortable situations. Some owners simply can’t cope and have to look to re-home their dogs. In the worst-case scenario, euthanasia is considered. In the vast majority of cases, the situation for both the owner and the dog can be dramatically improved, if not completely resolved. The key lies in getting the right diagnosis and help, but there is no magic wand or quick-fix. We are often dealing with how a dog ‘feels’ about other dogs and right now, they may simply feel that they are bad news. Changing that emotional response from anxious to comfortable to excited takes time. We have to work at the dog’s comfort level but it is definitely achievable. We are also often dealing with owners who have completely lost their confidence. Rebuilding this and teaching new habits can take a bit of time and support. Feisty To Friendly is a unique programme to help owners and their dogs. 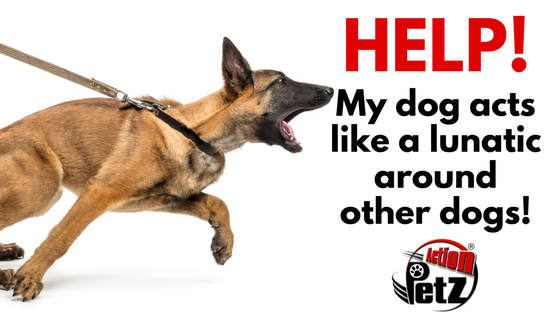 It is designed for dogs that are reactive on lead when they see another dog, those that are afraid or anxious around other dogs and for those that get into arguments and fights. It is also designed for owners who avoid other dogs and those that are embarrassed or have lost their confidence with their dog’s behaviour. Owners attend a Workshop (without their dog) and learn the causes for their dog’s behaviour and the best approach for dealing with their particular dog’s issue. A personalised training plan is put together to assist owners to find the most efficient and appropriate solution to their dog’s behaviour. A One To One practical session is organised at a later date according to their personalised plan. The Feisty To Friendly Programme also addresses one of the main reasons that owners fail to resolve their dog’s issues with other dogs – That is the struggle to find similarly educated owners and suitable dogs to work with in order to make progress. The Feisty To Friendly Programme gives owners the opportunity to work together and help each other. 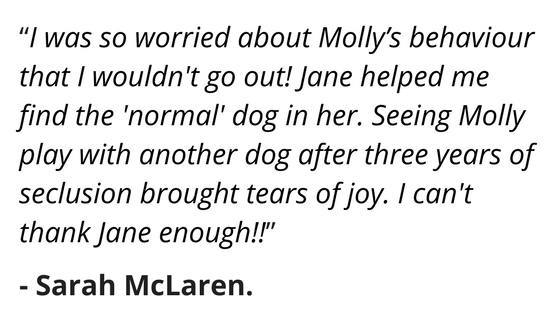 If you are struggling with your dog’s behaviour, you don’t have to deal with it alone. Get in touch to find out how we can help you. dog lover? share this post!